Pampering our pet boarding guests for 16 years. We have created the most calming, comfortable, homelike atmosphere for your pet(s) to stay while you are away! We do not have ANY crates, cages, or concrete in our pet boarding areas. 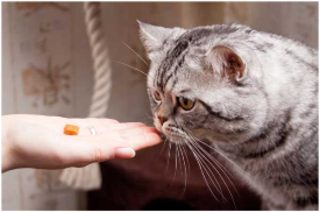 Our trained staff pays attention to every detail and ensures that your pet has a fun-filled, stress-free visit! Small, medium and large canine guests will enjoy large air-conditioned Suites with plenty of privacy, comfy beds, fresh linens daily, maid service, room service, and TV's! Guests also enjoy daily treats and bedtime snacks! Our Resort is all-inclusive so Playtime at "Hot Dog Park" is included too!! This themed play area is where your pet can enjoy socializing with friends of the same size or he/she can play with a staff member if they prefer! We also have plenty of social media options to stay in touch - text/picture messages from your pet, live video on Facebook, Instagram and Snap Chat! Our feline guests will enjoy luxurious 3-story air-conditioned cat condos. Our cat condos are 8' tall with plenty of privacy! Our condos feature comfy beds, soothing music, and different levels for sleeping and playing. The VIPet Resort also features "Cool Cat Courtyard" where your cat can play and exercise twice daily! 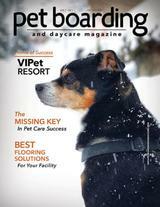 The VIPet Resort offers doggie daycare if you only need daytime services. Daycare guests play all day in our themed play areas with friends of the same size. A luxury suite is available to all daycare guests for rest time! 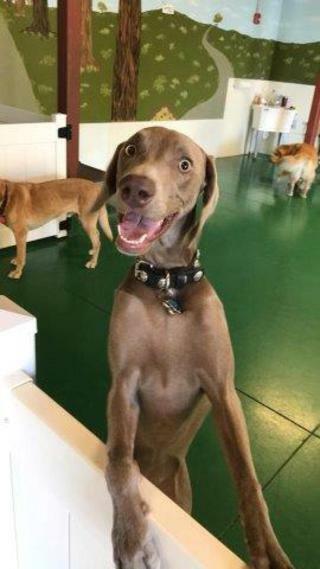 Doggie daycare is a great way to relieve stress and boredom for your pet while you are away from home all day at work! Our daycare is always supervised by staff and is always a fun time! Ask about our Spa and Play package. Discount available for Military and 1st Responders. Thank you for your service! I'm Happy to be at Hot Dog Park! We pride ourselves in posting many photos of our facility. What you see is really what we look like - come in and see for yourself - we have an "Open Door" policy - you can tour our facility anytime during our Lobby Hours - No appoinment is needed!